One of the Filipino engineers in the development of the Maya – 1 Cube Satellite (CubeSat) has gained another feather in his cap. Engr. 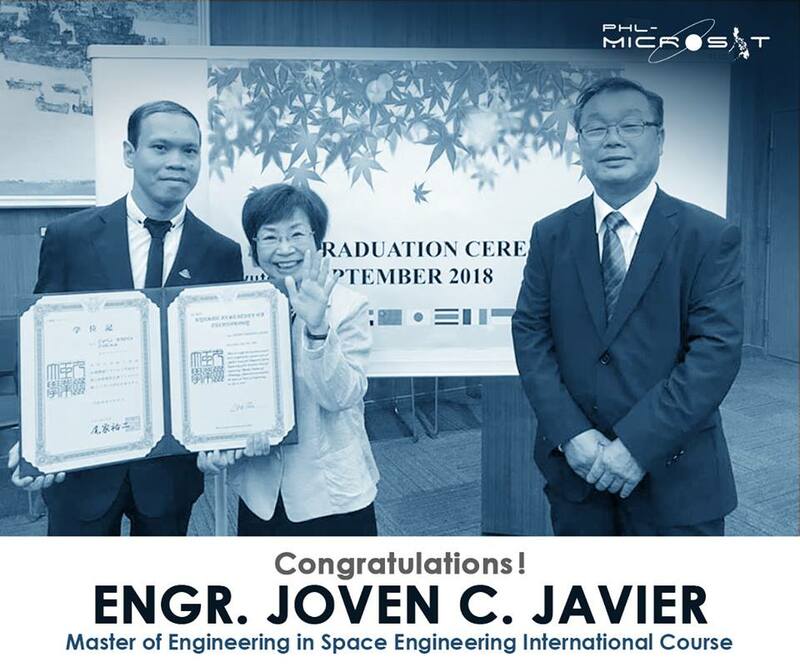 Joven C. Javier has recently completed the Master of Space Engineering International Course in Japan’s Kyushu Institute of Technology. Together with Engr. Adrian Salces, Engr Joven Javier Developed Maya – 1 under the Development of Philippine Scientific Earth Observation Microsatellite program (PHL-Microsat), a research and development project implemented by UPD and the Department of Science and Technology-Advanced Science and Technology Institute (DOST-Asti). The country’s first CubeSat weighs only 1 kilo but has several capabilities built into it. The duo used “off the shelf” components in creating Maya – 1. The CubeSat is capable of taking wide range and narrow range images and can be used as a repeater for communications purposes. This can also communicate with ham radio operators in the country. This is proof that the development of CubeSats can be made in the country in the future. Maya – 1 was developed by Salces and Javier in Kyushu Institute of Technology. TechBlade conveys its congratulations to Engr. Joven C. Javier.